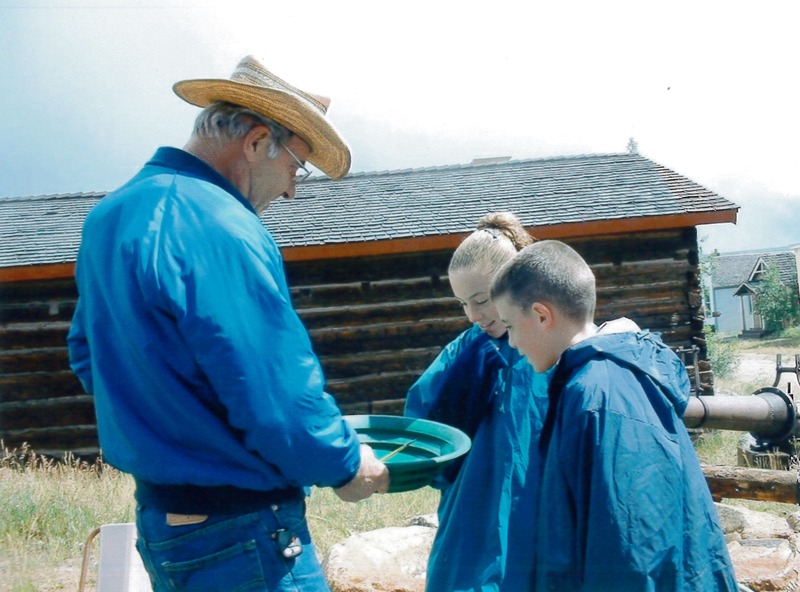 Local man in period dress helps kids pan for gold on Community Day at the South Park City Museum in Park County, Colorado. Park County (population 14,523) was established in 1861 as one of Colorado's original counties. In its center is a lush valley known as South Park. The “Mountain Men” who hunted and trapped in South Park during the early 19th century were the first Europeans to capitalize on the area’s resources. Then came prospectors following the discovery of gold in 1860. Numerous towns quickly sprung up to support the miners, but later cycles of boom and bust have left several as ghost towns. The grassy plains of South Park drew ranchers, who brought herds of cattle and sheep to the county. The coming of the railroad in 1878 made mining and ranching even more profitable by improving shipping. The railroad also began to bring tourists, and several hotels and resorts were developed in the county during the late 19th and early 20th centuries. Recreation and heritage tourism remain important industries in the county today. To inform the public of the rich heritage of Park County, the County developed a Park County Heritage Program in 2003. A Park County Heritage Program Handbook and Resource Guide were published, and interpretive displays have been established at locations across the county. The County has also supported development of a local history textbook and teachers guide for third grade students. Park County has developed a series of driving tours of the county’s different passes, valleys, and gulches, as well as a walking tour of Fairplay, the county seat. Efforts are currently underway to pursue designation of South Park as a National Heritage Area.